Stone Care. Done the Proper Way. Pool and Spa Deck Cleaning and Sealing by Alex Stone and Tile Services, Los Angeles, San Fernando Valley, Santa Monica, West Los Angeles, Pasadena, CA. EXPERT KNOWLEDGE. ATTENTION TO DETAIL. A Valued and Trusted Stone and Tile Professional. Alex has been working with natural stone for over 15 years. Before starting Alex Stone and Tile Services in 2008, Alex worked for a large reputable Los Angeles stone and tile cleaning company. He earned his reputation over the years as a stone cleaning expert, working with, then supervising, many projects and crews on stone cleaning and stone restoration projects. As such, Alex was the most highly requested company team member. Alex cultivated a deep appreciation and respect for the natural beauty of stone,. He learned all he could about the various materials he worked with in order to became expert in his knowledge of the proper treatment and care of natural stone and tile surfaces. Alex has always approached the process and outcome of his work as a dedicated craftsman, insisting on meticulous attention to detail, and an unswerving commitment to getting the job done the right way. This is what earned Alex the loyalty and respect of clients. 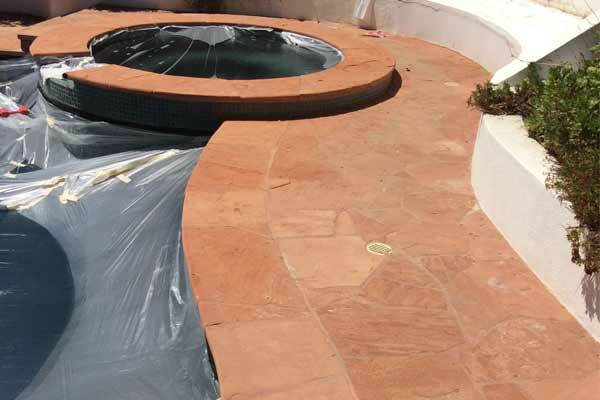 Today Alex’s company, Alex Stone and Tile Services, is among the very best tile and stone restoration service contractors to be found in the greater Los Angeles / San Fernando Valley area. Alex’s entire company is built on values of a strong, professional work ethic combined with outstanding customer service. Alex Stone and Tile Services continues to uphold its reputation of being one of Southern California’s most trusted, professional tile, stone, brick & masonry cleaning, sealing and restoration services. The company serves residences as well as commercial buildings throughout the greater Los Angeles, San Fernando Valley, Santa Monica, West Los Angeles, Pasadena, Downtown L.A., South Bay and Orange County areas of Southern California. Connect with us, follow us, or leave a review! Santa Monica, West Los Angeles, San Fernando Valley, Hollywood, Glendale, Pasadena, San Gabriel Valley, Downtown Los Angeles, South Bay, Orange County, CA. Agoura, Agoura Hills, Arleta, Bell Canyon, Burbank, Cahuenga Pass, Calabasas, Calabasas Highlands, Canoga Park, Canyon Country, Chatsworth, Encino, Granada Hills, Hansen Dam, Hidden Hills, Kagel Canyon, Knollwood, Lake Balboa, Lake View Terrace, La Tuna Canyon, Mission Hills, Newbury Park, NoHo, NoHo Arts District, North Hills, North Hollywood (NoHo), Northridge, Olive View, Pacoima, Panorama City, Porter Ranch, Reseda, San Fernando, Sepulveda, Sepulveda Basin, Shadow Hills, Sherman Oaks, Sherman Village, Simi Valley, Studio City, Stonehurst, Sun Valley, Sunland, Sylmar, Tarzana, Thousand Oaks, Toluca Lake, Toluca Terrace, Toluca Woods, Tujunga, Unversal City, Valley Glen, Valley Village, Van Nuys, Warner Center, West Chatsworth, West Hills, West Toluca Woods, Westlake Village, Winnetka, Woodland Hills, the Valley, sfv, CA.